After you read the following story, you'll probably wish the headline above was true instead of the one below. I KNOW I DO! “If a new order still discriminates against persons based upon national origins, violates our nation’s freedom of religion, or otherwise violates the Constitution, the State of Hawaii and its people must oppose it,” state Attorney General Doug Chin said, in advance of the second order’s promulgation. 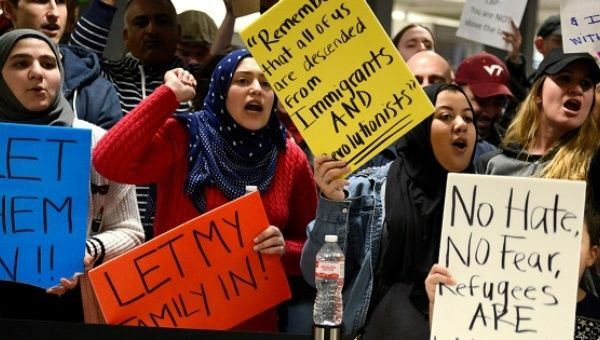 It’s commitment to free movement of refugees notwithstanding, during fiscal year 2015, the state accepted all of seven refugees, according to data from the Office of Refugee Resettlement. Only one jurisdiction, the District of Columbia, accepted fewer. During that period, one of the state’s refugees came from Ukraine, one came from China, and five came from Burma. None came from war-torn communities in the Middle East, where migrant resettlement has proved most controversial.